Are you ready to stop playing small and start achieving all your BIG goals and dreams? Life editing can help you make noticeable progress every day without the overwhelm or needing to trash your current life. Tiny edits make it all possible! 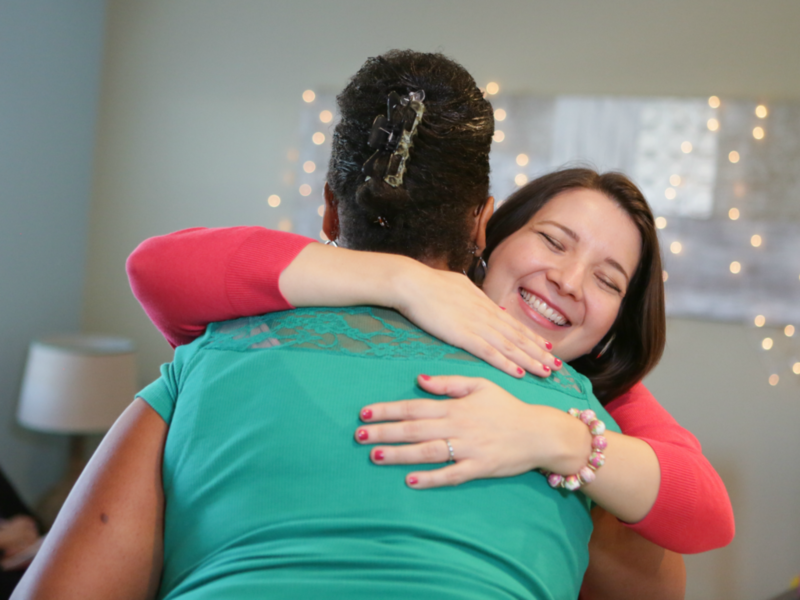 Let's set up a free call to see if life coaching is right for you! A free 30-minute one-on-one coaching call with me through Skype, Google Hangouts, or phone. Your choice. We'll discuss your current situation, the challenges you're facing, and the goals you want to achieve in the future. We'll use the Life Editing Process to determine the edits that will have the biggest impact on your happiness. You'll end the call with a list of next action steps to help you delete, add, and rearrange the parts of your life and/or business to get the positive results you want. Enter your name and email below to request a free Life Editing Strategy Call. After you submit the form, you'll receive an email with a link to choose a call day and time and more instructions. Please send an email to sage@sagegrayson.com if you have any questions. what it can do for you? Or maybe you're wondering just what life editing is exactly! 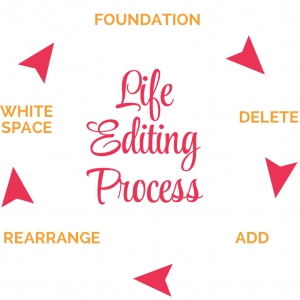 Life editing is a form of life coaching that follows a specific step-by-step process for cleaning up your life, much like how a book editor would edit a manuscript. I was an editor in the publishing world for nearly 10 years before I became a life coach. It was then that I noticed I was using the same techniques to help my clients improve their lives as I did back when I was an editor. Sometimes our lives can feel like a rough draft. Our days are jumbled, there doesn’t seem to be a flow, and we’re not living the story of our dreams that’s inside of us. That’s where life editing comes in. Even if your life isn’t perfect, there are things that support you and keep you stable. The good things that are already working for you are called a foundation. You can’t add in the good things that are missing in your life until you create some room by deleting all the junk. These could be people, situations, or habits that are not adding value to your life. After you’ve deleted the bad influences in your life, you’ll notice you’ll have much more time, space, and energy for all the good things that have been missing. Now you can do the things you’ve always wanted to do but never made the time for, find your ideal career, take care of yourself, and have fun. If your days aren’t going as smoothly as you’d like, you might need to do some adjusting. Just because you have all the components doesn’t mean your life is flowing. Rearranging a few things in your schedule can make all the difference. Personal white space is needed for you to have a place to rest, recharge, and breathe. It’s self-care so you can be physically, mentally, and emotionally prepared to do what you need to do. It’s also a way for you to give yourself a break and do an imperfect job. Life editing is an ongoing process that you can return to again and again. In fact, I use this framework for my quarterly personal check-ins at the start of every season. How Much Do Your Coaching Packages Cost and What's Included? I offer 3-month, 6-month, and 12-month private coaching packages. Depending on which packages you choose, it may include 60-minute calls with me, unlimited email support, Quarterly Care Packages mailed to your door full of motivating goodies, access to the Silver Level of the Life Editor Clubhouse membership site, discounted tickets to the Life Editor Weekend Retreat, and more. My coaching packages are high-value, intense, self-development programs, and your results are worth ever penny. The packages start at $499 per month; however, you can get a discount for paying in full. Fill out the form at the top of this page for your free Life Editing Strategy Call. At the end of the free call, we'll discuss my various coaching packages and how we can work together. Or if you need coaching ASAP, click one of the links on this page to get your VIP Day. VIP Days are supercharged one-on-one coaching sessions for Life Editors who are short on time but still want big results. We could all use accountability, strategic planning, and a little editing to reach our goals whether you want to excel at your job, start a business, get healthy, improve your relationships, gain financial freedom, or finally organize all the areas of your life. But maybe a 3-month, 6-month, or 12-month coaching package isn't the right fit for you. You don't need a long-term commitment. I'll treat you like a Very Important Person so you can complete your Very Important Projects. Fast: Only 4 hours on a single day. Get real results without months of work. Private: It's just you and me. Everything is confidential, and you won't have to share me with dozens of other people in a group coaching program. Intense: We dive deep into your personal situation to dramatically edit your life and/or business. We don't waste time or get distracted. Strategic: Every VIP Day includes an individualized 12-Week Master Action Plan (MAP) for you to follow after the call. No more wondering what to focus on next! Read the descriptions below for The Complete Life Edit or The Ultimate Business Edit. Then choose your favorite and click the Buy Now button for your preferred VIP Day. I will contact you within 24 hours to schedule your VIP Day. What you want: A TOTAL MAKEOVER! Go through the 5 steps of the Life Editing Process to clean up all the areas of your life. The call is conducted through Skype, Google Hangouts, or phone. Includes three 10-minute breaks. Hour 1: What's Life Editing? Create a Gratitude Foundation. We focus on what's working to boost your energy going forward. Hour 2: Delete Bad Influences, Add Good Habits and Routines. We cut out the stuff that drains you and get clear about your ideal self. Hour 3: Rearrange Everything Into a Perfect Flow, Make White Space for Personal Self-Care. We reclaim your time and schedule your self-care. Hour 4: Choose Goals, Timeline, and Benchmarks. Design your 12-Week Master Action Plan (MAP). What you want: TO EARN MONEY! Get organized to start a business from scratch or grow your struggling business. The call is conducted through Skype, Google Hangouts, or phone. Includes three 10-minute breaks. Hour 1: Go over the current state of your business, define your ideal clients, and get clear about your strengths and the results you provide. Hour 2: Design your services, products, packages, pricing, and full sales funnel. Fill gaps with active, passive, and consistent income. Hour 3: Start marketing without overwhelm by creating your valuable free offer (VFO), email newsletter, blog, and social media content plan. YES, I'M READY TO EDIT! Most of my clients have their own businesses or are building them from the ground up with my assistance. I’ve worked with painters, writers, photographers, coaches, healers, fashion consultants, interior designers, jewelry makers, and yes…editors. 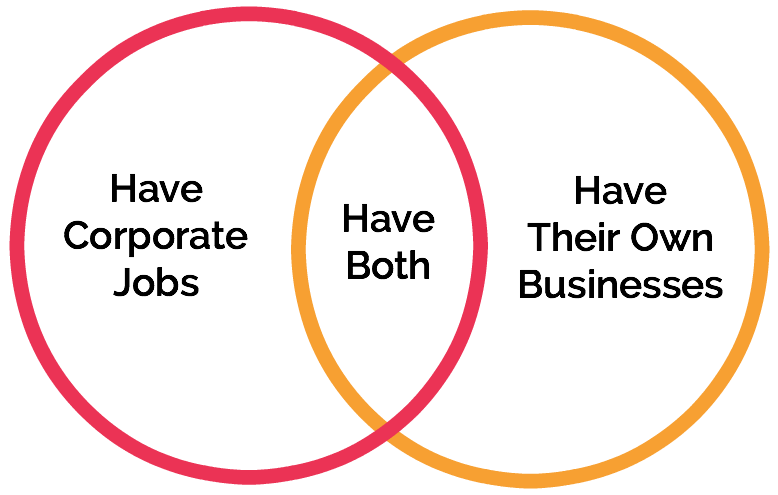 Some are corporate professionals without their own businesses. Some decided to start businesses and then quit their day jobs. And others love their current jobs and started their own businesses for extra income or vacation money. My clients love my ability to help them take their ginormous goals and break them down into doable daily mini tasks so they're always making progress. My coaching is highly personalized and edited specifically for your goals, behavior, and time commitment. Set up your online headquarters. Define your ideal client and customer profiles and how to attract them. Develop an editorial content calendar. Crush your procrastination and master your time management. Create an enticing valuable free offer (VFO) to build your email subscriber list. Take the stress out of social media. Design a doable and repeatable marketing plan. Nurture your followers with an e-newsletter. Develop products, packages, and programs that are in line with your business’s mission. Warm letter campaigns and referral marketing. Develop an energizing and motivating morning routine so that you can power through your day. Build a calming nightly ritual for sound sleep and less worrying. Add play and joyfulness to your everyday activities. Define your core values and set daily intentions. Maintain momentum on your goals when faced with obstacles and setbacks. Understand what work-life balance truly means and how you can find that equilibrium in your life. Conquer your fear of missing out (FOMO) and embrace gratitude, simplicity, and minimalism. Ditch your limiting beliefs, quiet negative self-talk, and tell your ego to chill out. Develop a restorative meditation practice no matter your religion or spiritual background. Practice law of attraction exercises to fully understand universal energy and how to use it to your advantage. Master intentional living on a larger scale so that your actions are always in line with your life’s greater purpose. Learn techniques to easily return to your center when faced with a crisis. Deepen and strengthen all the relationships in your life and make meaningful connections. Read my Client Testimonials or send an email to sage@sagegrayson.com. Due to the nature of my various coaching programs (3 months, 6 months, 12 months) and the materials provided to paying clients, refunds are not offered on any coaching program. Immediately after purchase (depending on the package), you will have access to hours of video trainings, audio recordings, and webinars in addition to dozens of worksheets and resources. There is nothing preventing you from downloading and using all the materials immediately, so refunds will not be authorized if you decide you no longer want to be in the coaching program. You are responsible for the results you achieve through life coaching. Although a coach can provide motivation, resources, and advice, it is up to you to put in the effort and do the work if you want to achieve your goals. IMPORTANT: By purchasing a coaching package, you agree to pay the full coaching package fee, and you are responsible for the entire amount even if you decide to leave the coaching program at some point, regardless of whether there are any remaining calls. There are no refunds. It is your responsibility to make an informed decision before you purchase a coaching package. Please send an email to sage@sagegrayson.com if you have any questions. © 2011-2019 Sage Grayson Life Editor. All rights reserved. "Life Editor" is a registered trademark filed with the United States Patent and Trademark Office, Reg No. 5,308,557. I sometimes use affiliate links when making recommendations. These links don't impose any extra cost on you, and they help support the free content I provide here. Stressed out? Disorganized? Not enough time? 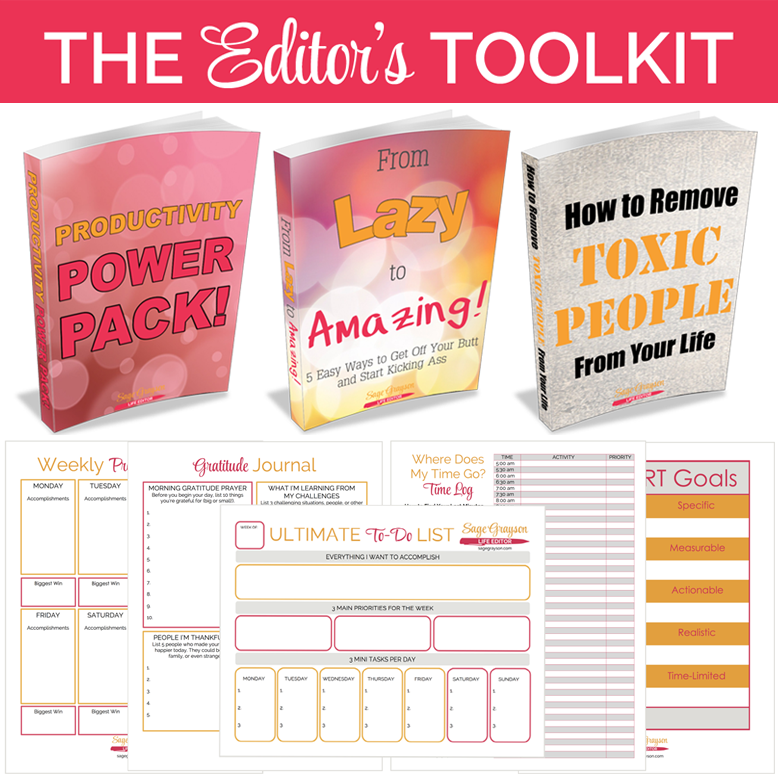 Get the Editor's Toolkit with dozens of FREE worksheets, videos, and ebooks to help you save time, be more productive, and find happiness at work and home. Enter your name and email below to get your freebie. I will never share, trade, rent, or sell your information with any other company.